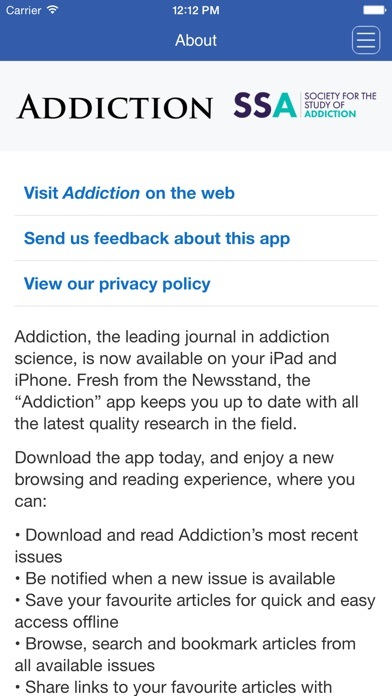 Addiction, the leading journal in addiction science, is now available on your iPad and iPhone. 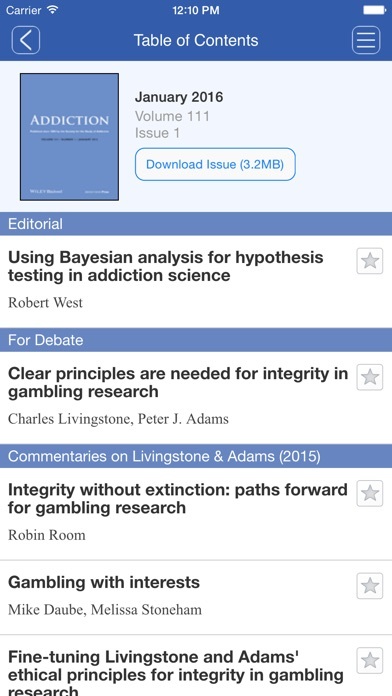 Fresh from the Newsstand, the “Addiction” app keeps you up to date with all the latest quality research in the field. 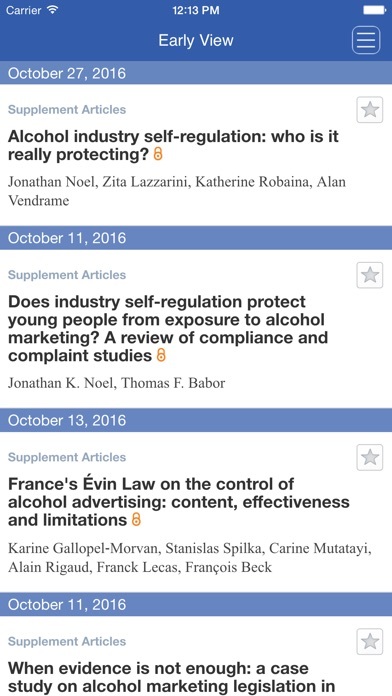 Download the app today, and enjoy a new browsing and reading experience, where you can: • Download and read Addiction’s most recent issues • Be notified when a new issue is available • Save your favourite articles for quick and easy access offline • Browse, search and bookmark articles from all available issues • Share links to your favourite articles with colleagues and friends CURRENT SUBSCRIBERS to Addiction can “pair” their device with their personal or institutional subscription to enjoy full access in this iPad edition. SUBSCRIBE IN THE APP: Annual Subscriptions (12 issues) for the iPad-only edition are available for $699.99 (US) per year. Payment is charged to your iTunes account after confirmation of purchase. 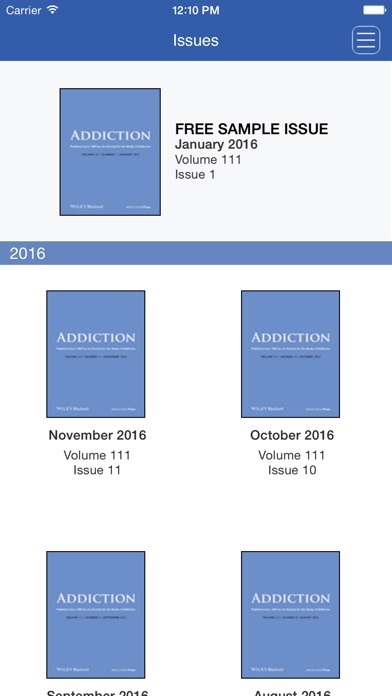 Addiction subscriptions automatically renew within 24 hours of the end of your subscription period for $699.99 (US) unless auto-renew is turned off at least 24 hours before the end of the subscription period. To turn off auto-renew, go to your iTunes account settings after purchase. Note that subscriptions cannot be cancelled during the term of the subscription, but you can still turn off auto-renew to prevent automatic renewal of your subscription. 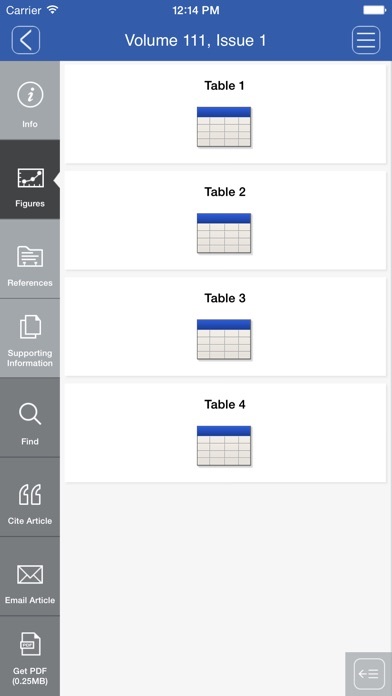 Note that any unused portion of a free trial period, if offered, will be forfeited when you purchases a subscription.